Our Sport House system consists of four (4) houses. Bradman (Green), Freeman (Gold), Dobell (Blue) and Chisolm (Red). The school’s sport house system contributes in a special way to the spirit of St Benedict’s. 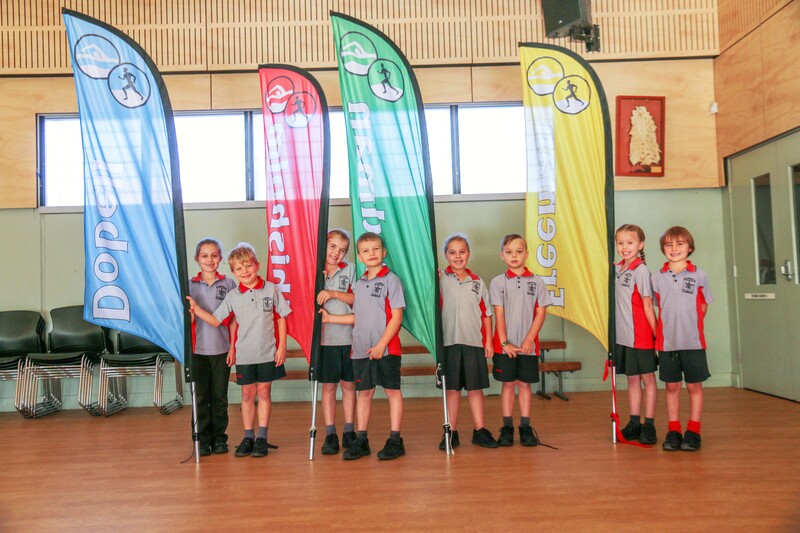 During the year, the School Swimming and School Athletics carnival provides an atmosphere of anticipation, excitement and passion. The Sport House system also provides an opportunity, within each house, for friendship across all ages and classes. On enrolment, students are placed in one of the four (4) house. Siblings are automatically placed in the house of family members who have come before them. Students with no previous affiliation are placed as appropriate to keep team numbers as even as possible. BRADMAN (Green) named after one of Australia’s greatest ever sportsman, Sir Donald Bradman. FREEMAN (Gold) named after Sir James Darcy Freeman who was knighted for his contributions as both archbishop and cardinal. DOBELL (Blue) named after Newcastle born and bred Sir William Dobell, who was a renowned Australian portrait and landscape artist. CHISOLM (Red) named after humanitarian Caroline Chisolm, known mostly for her involvement with female immigrant welfare in Australia.